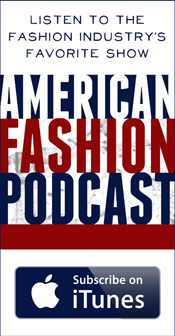 In the best case (and admittedly all too rare) scenario, fashion can be elevated to an art form, and the designer, through his or her creative vision, serves as a catalyst to help us rethink conventional boundaries and the commonplace, see unforeseen possibilities, and of course, delight. 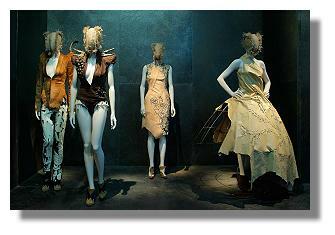 The word ‘genius’ as it applies to fashion designers, is often overused and abused; but not so in the case of the late Lee Alexander McQueen (1969 – 2010), whose “dazzling creativity and startling originality was expressed through the technical virtuosity of his fashions and the conceptual complexity of his runway creations”, and whose life was tragically cut short. 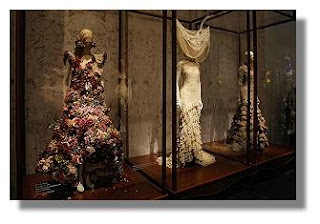 ﻿His legacy is alive and well and in now the hands of Sarah Burton, with whom he collaborated for approximately 15 years. 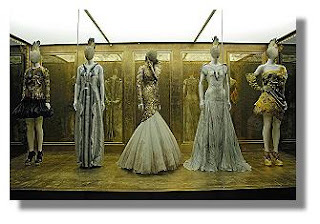 It was timely indeed, that just days prior to the opening of ‘Alexander McQueen: Savage Beauty’ (May 4 – July 31), she can now lay claim to being a bonafide household name. The creation she designed for Katherine Middleton’s royal nuptials, was truly fit for a queen - or should I say, princess or duchess, KM’s official titles. 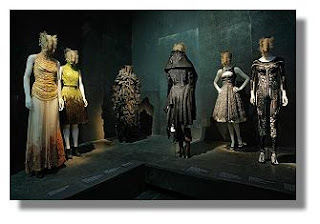 And similarly, the new dazzling, emotional, and quite moving exhibit at the Metropolitan Museum of Art’s Costume Institute, ‘Alexander McQueen: Savage Beauty’, (located in the Iris and B. Gerald Cantor Exhibition Hall, 2nd floor), is a fittingly ‘royal’ homage and tribute to the work of a true creative genius. FYI, that’s pretty much were the similarities end because let’s just say that out of the approximately 100 outfits and 70 accessories (including many of Philip Treacy’s hats of course) on display (culled mainly from the designer’s London Archives), there were not too many, if any at all, that were as tame, classical and elegantly subdued as KM’s wedding gown. Make no mistake about it: this is a gloriously over the top exhibition, showcasing the definitive, iconic pieces that could easily be considered as the most “powerful” examples of McQueen’s work. It is highly visual and touches all the senses, and I would suggest you go when you enough time to take it all in. I especially loved the way Alexander McQueen’s quotes were used effectively throughout (appearing next to outfits where they best applied), adding context and personal insight. And yes, isn’t it romantic? The first quote we see upon entering the first gallery, pretty much says it all, “I’m a Romantic Schizophrenic” because the galleries are divided as follows: The "The Romantic Mind" explores Lee’s technical know how, his way with precision tailoring, patternmaking, draping and dressmaking; "Romantic Gothic" highlights the designer’s infatuation with the Victorian Gothic, and the dualities of life and death; "Romantic Nationalism" delves into McQueen's patriotic side, his obsession with British history and his love affair with his Scottish heritage; "Romantic Exoticism" explores the influence of other cultures (especially that of China and Japan) on the designer's imagination; "Romantic Primitivism" deals with the idea of the "noble savage"; and "Romantic Naturalism" touches on yearning for raw materials and his interest in nature themes. Thomas P. Campbell: “The world seems to be “experiencing a McQueen Moment’ and we are thrilled, for this exhibition to be part of it, however accidentally. It seems so apt that this exhibit is at the Met, because his work fits so easily within the discourse of art”. “His work fits so easily within the discourse of art: his references to history, his fascination with the grotesque, his exploration of unorthodox beauty. These are themes we see throughout the Metropolitan Museum of Art’s Collections chronicling 5000 years of artistic expression. Great art challenges us, introduces new narratives and recasts old ones. It inspires. Under those terms, McQueen can be considered no less than a great artist. 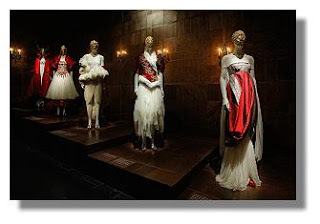 Our curator, Andrew Bolton, has organized an extraordinary tribute to McQueen’s particular genius and he’s been very lucky to work with a team that collaborated with McQueen for so many years (including of course, Sarah Burton, his graceful and highly accomplished successor who provided valuable insight into McQueen’s creative process). Even the mannequins were transformed into a McQueen ideal. I congratulate you all on creating what, quite simply, may be the most spectacular Museum Costume Exhibition ever mounted anywhere”. He then thanked François-Henri Pinault, American Express, and of course Conde Nast and Anna Wintour who helped make this happen. “I think of Lee’s creative soul. His shows were always such events (dramatic, subversive, so beautiful, and much discussed by everyone in the industry). As designers we had much different approaches; while we agreed about some things, there were other things we disagreed about… but and we always shared a laugh: CHEEKY and FILTHY in the best sense of the word. 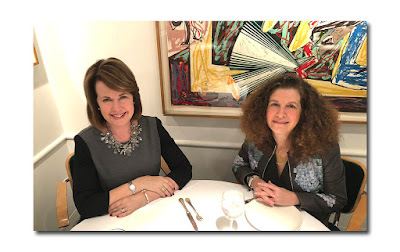 I am so happy to be here to celebrate his magnificent work, to tell him how much I’m blown away by his designs, how much I admire him, and proud I am that he has arrived here- at the Metropolitan Museum of Art in New York City! It’s a very far journey from the East End of London and this is his moment and it’s very well deserved. Sarah Burton: followed and to say she was short, sweet and to the point is an exaggeration. Last up was Andrew Bolton who thanked Thomas Campbell, Harold Koda, Sarah Burton and her design team, all those who worked on the galleries, the head treatments of the mannequins and their ‘masks’ which served to humanize them. He thanked Stella McCartney for her helpful and invaluable insights into the London fashion scene in the 90’s when McQueen was establishing his reputation as a designer. And of course, he thanked Anna Wintour. Such a great The creation she designed for Katherine Middleton’s royal nuptials, was truly fit for a queen or should It say, princess or duchess, KM’s official titles. And similarly, the new dazzling, emotional, and quite moving exhibit at the Metropolitan Museum of Art’s Costume Institute. Thanks for sharing this article.